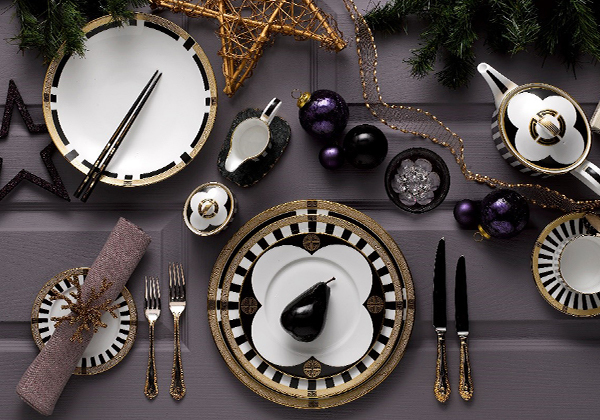 Blog - Be Inspired by Royal Crown Derby’s Festive Tablescapes. 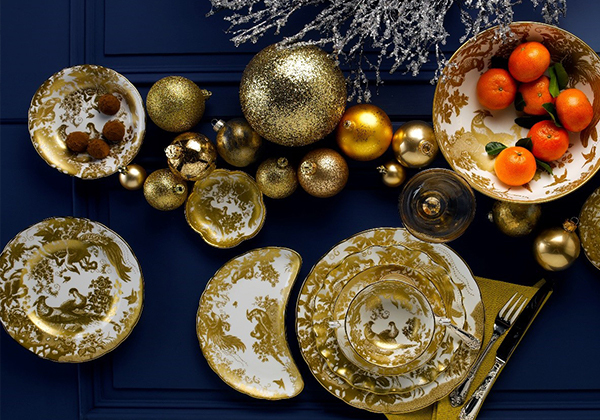 Be Inspired by Royal Crown Derby’s Festive Tablescapes. Tis the season for families across the globe to come together and celebrate during the festive period. 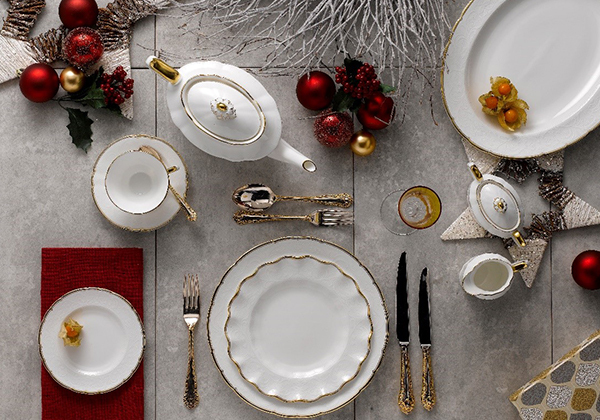 Here at Royal Crown Derby, we look to our stunning range of fine bone china tableware to create tablescapes perfect for luxury dining during this very special time of year. Pure white on white textures is a beautiful feature to enhance any seasonal dining experience. Bring colour to the table with deep reds, tonal greys and subtle yellows which will contrast beautifully with pure white tableware. Royal Crown Derby’s Darley Abbey Pure is a perfect addition to a table with a stunning white on white textured interpretation of a historical 18th century regency style pattern, finished with a 22 carat gold or platinum edge to accentuate the stunning design. Explore Darley Abbey Pure Tableware here. 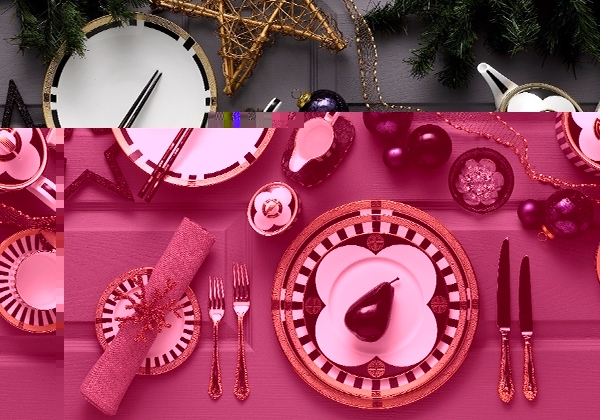 Adding non-traditional colours to the table creates a striking contemporary look, deep jewel shades or berry tones are a perfect way to do this. 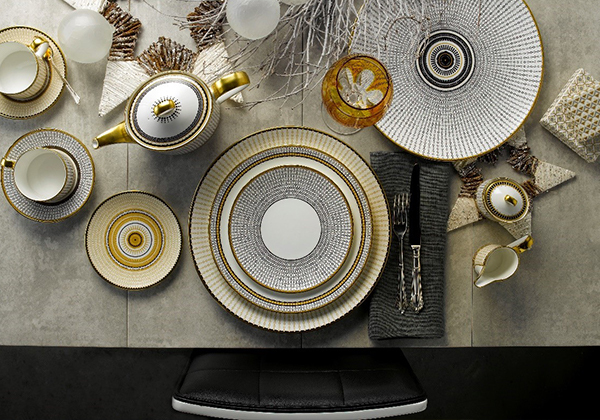 Use different shades of the same colour and metallic tones to bring the tablescape together. Satori Black tableware creates a wonderful monochrome contrast to strong colours on the table, a 22 carat gold design adds a stunning finishing touch. Perfect for a luxury festive dining experience. Discover Satori Black tableware here. Beautiful gold patterns paired with dark tonal shades create a dramatic tablescape, perfect for celebratory dining settings. Royal Crown Derby’s Aves Gold tableware design exudes style and drama, hand decorated in 22 carat gold using a stunning adaptation from an embroidery pattern by British painter, Albert Gregory, making it perfect for creating a striking setting for celebratory meal dining. View Aves Gold Tableware here. Create a modern minimalistic approach to festive dining by mixing muted shades of grey and yellow with stunning geometric patterns. Oscillate tableware collection features a surface mesh design that complements the fine bone china forms it adorns. Offered in a rich and warm Ochre Yellow and Onyx Black, the lustrous Oscillate collection is hand finished in 22 carat gold adding a hint of luxury to this stunning design. Perfect to create a beautiful minimalistic table.